This meticulously maintained home is on the perfect flat corner lot with a side load garage in the lovely & quiet Harrisburg community of Bradford Park. 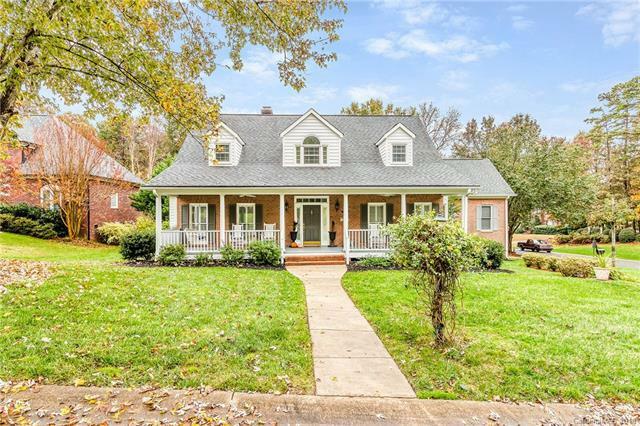 This 4 bedroom, 3 1/2 bathroom home features a main floor owner's suite with hardwood floors throughout the entire main floor with the exception of the tiled sunroom. The vaulted ceilings in the great room welcome you from the foyer as you flow effortlessly to the gourmet kitchen with granite countertops, stainless steel appliances, gas range, lovely white cabinets, recessed lighting, crown molding, subway tile backsplash, & gas range/oven. The formal dining room sits just off of the kitchen & features crown molding, chair rail, & plantation blinds. The 2nd floor features ample bedrooms as well as a private suite over the garage with full bath & private stairway. Features that are not as obvious include new roof '09, both new AC units '17, new furnace '16, refinished hardwoods '18, new carpet '17, and sealed crawlspace '18. A Must See!